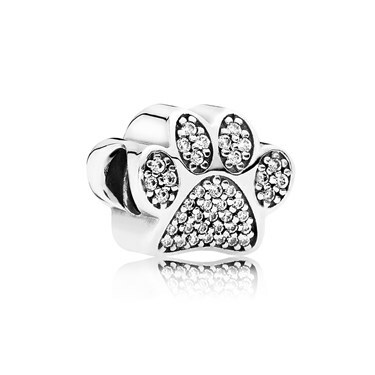 Add a dazzling reminder of your precious pet to your PANDORA charm bracelet with this delightful paw prints charm. 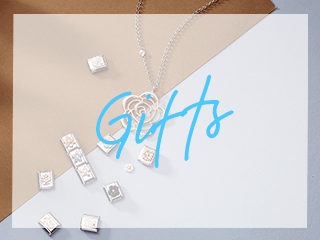 Expertly crafted from Sterling silver, this adorable paw-shaped charm features both micro and larger pave-set cubic zirconia crystals and will add a sweet sparkle to any PANDORA collection! This charm is adorable & I bought it to represent the Pampered Pooch in my life, Daisy. 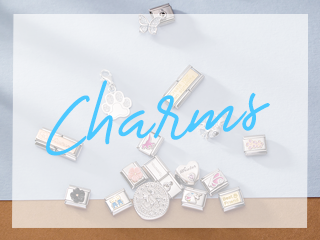 Love the little gems on the paw, also looks great with all my other charms on my Pandora bracelet & I would recommend this product. Ideal gift for my wife. Bought it on behalf of our dog. 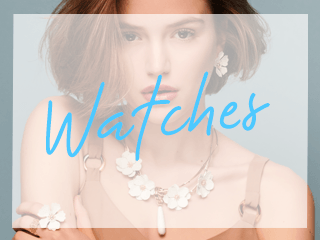 Absolutely beautiful charm with lots of sparkle. I was worried it would be too big but it's perfect! Can a name be engraved on this, please?